The BC SPCA celebrated the official opening of its new West Kootenay Community Animal Centre in Castlegar on Sept. 21 with local government, business and community leaders in attendance. A welcome and blessing was offered by Debbie Bird, an elder with the Circle of Indigenous Nations Society. The 4,250-square-foot facility, located at 124 Heritage Way, will be the new hub for animal protection, sheltering of abused and homeless animals and animal cruelty prevention and education in the region. “We are extremely excited about this new centre and are grateful to the provincial government, the Columbia Basin Trust, the City of Castlegar and all the generous animal lovers who have joined with us to make this urgently needed facility a reality,” said Craig Daniell, chief executive officer of the BC SPCA. 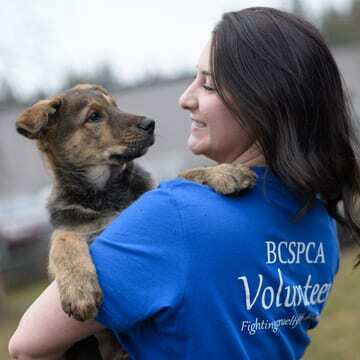 The BC SPCA, a not-for-profit organization, served nearly 49,000 abused, neglected, abandoned and injured animals last year, including more than 1,100 from the West Kootenay region. The new $2.69-million facility incorporates modern designs to ensure the highest levels of health and welfare for dogs, cats and small animals, as well as designated areas for temperament and behaviour assessments and specialized isolation areas for sick and injured animals. “The centre also has a multi-purpose space that can be used for dog training, SPCA youth camps, workshops and other events for the community,” said Daniell. The new West Kootenay facility is part of the BC SPCA’s eight-year Facilities Development & Services Plan to replace or refurbish aging SPCA facilities in 12 communities at a cost of $60 million. The Province of B.C. has contributed $10 million towards the first two phases of the capital plan so far, $900,000 of which was used for the West Kootenay centre. Land for the new SPCA animal centre was donated by the City of Castlegar and the society also received a generous contribution of $250,000 from the Columbia Basin Trust, said Daniell. The new facility will enable the BC SPCA to enhance its services for abused and vulnerable animals in the area and to expand services and programs for local pet guardians, notes Daniell. To learn more about volunteer opportunities or to find out how your donation makes a difference, please visit us online, or drop by the centre, at 124 Heritage Way, Castlegar.